One Side Dish – vegetables, salad, fruit, bread, or dessert. Serving Utensils – for the food you bring. Plates, Silverware, and Drinking Glasses – for your family. Quilts, Blankets, or Lawn Chairs – to sit on. If it rains really hard before the picnic or on the night of the picnic, we may have to reschedule. WE ALWAYS HAVE A LOT OF FUN!! 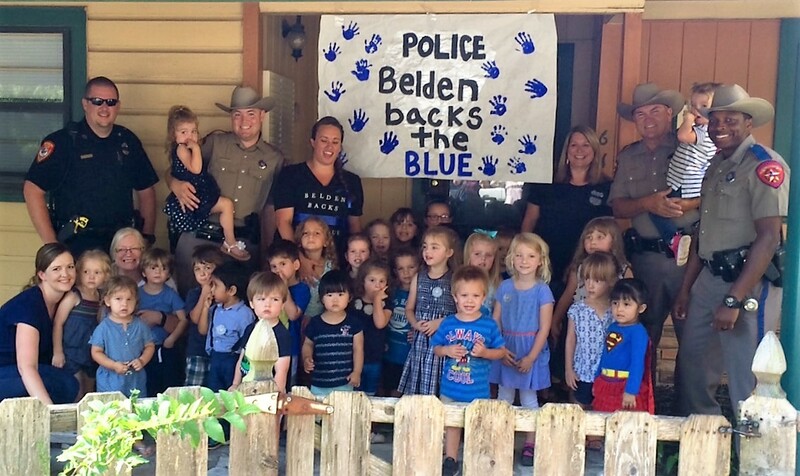 Belden Street Montessori Backs the Blue!